This process has been used successfully to create five states: Vermont (from New York, in 1791); Kentucky (from Virginia, in 1792); Tennessee (from North Carolina, in 1796); Maine (from Massachusetts, in 1820); and West Virginia (from Virginia, in 1863). 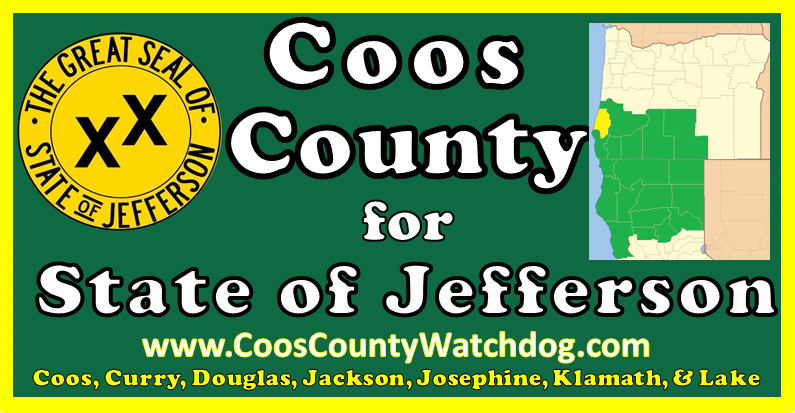 First Step is to have The County Commissioners or the people of every southern Oregon County involved in the process to enact a Declaration of Formation for the State of Jefferson. If it receives a negative vote from the legislature then the issue moves to the courts based on a lack of representation for rural Oregon. If the US Congress passes the issue then Jefferson becomes a state. Otherwise, the issue should head to the courts based on a lack of representation where our efforts will focus on overturning and a host of other court decisions that eroded the federalist system of representation, wherein the majority tyrannizes the minority.